Last week we were mesmerised by the glowing (literally) and incredibly important work on infectious diseases carried out by artist, scientist and communicator Dr Siouxsie Wiles in her New Zealand lab. 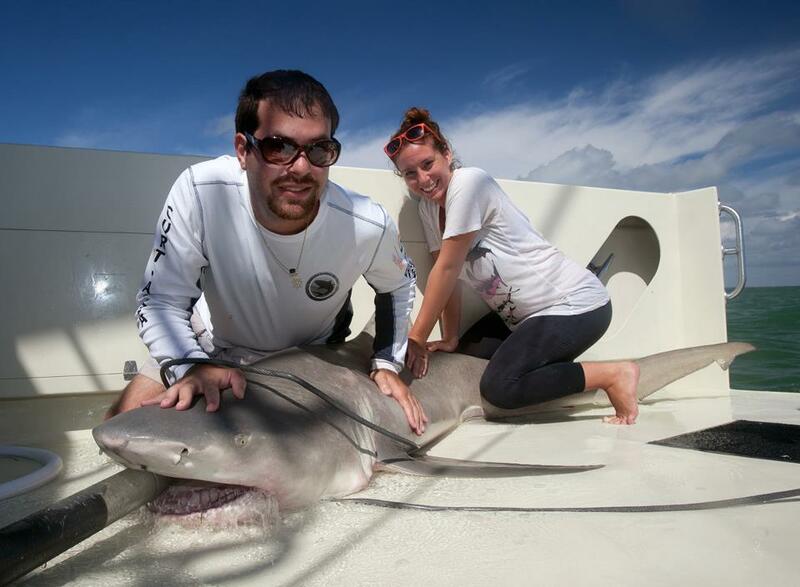 This week, we travel to the other side of the world to Miami, Florida, to join the epic David Shiffman of @WhySharksMatter who joins @realscientists as curator. Although I grew up in inland Pittsburgh, I’ve always been fascinated by the oceans. I read every book I could find and watched every documentary, and spent tons of time at the Pittsburgh Zoo and Aquarium. Through all this, I learned that the oceans are in trouble, and that science-based management is an effective way to help. A career choice was a no-brainer. I decided I wanted to be a marine biologist when I was 6 or 7 years old and chose to focus on conservation issues before high school. Most boys (and a lot of girls) go through either a shark thing or a dinosaur thing. I did both, and chose sharks. Sharks are some of the most misunderstood creatures on Earth, and they need knowledgeable and passionate advocates. I try my best to help. 3. Where did you grow up? Where did you school? I grew up in Pittsburgh, Pennsylvania (go Steelers!) I got my bachelors degree in Biology with a concentration in marine science at Duke University (go Blue Devils!). I got my Masters in Marine Biology at the College of Charleston (go Cougars!) I’m currently working on my Ph.D.
Sure have! 3 times, actually. My high school graduation present was a family trip to Australia. We toured around for 2 weeks. Sydney was my favorite city. I also studied abroad for a semester at James Cook University in Townsville, and attended a conference in Cairns. 5. Tell us a bit about shark conservation. Most people think of sharks primarily as a threat to people, but cows, dogs, vending machines, and toasters kill more people each year than sharks do. Sharks are in big trouble, though, do to overfishing. 1 out of every 6 known species of sharks and shark relatives are Threatened with Extinction according to the IUCN Red List. With my blog, Facebook, and twitter, I try to educate the public about marine conservation issues related to sharks. 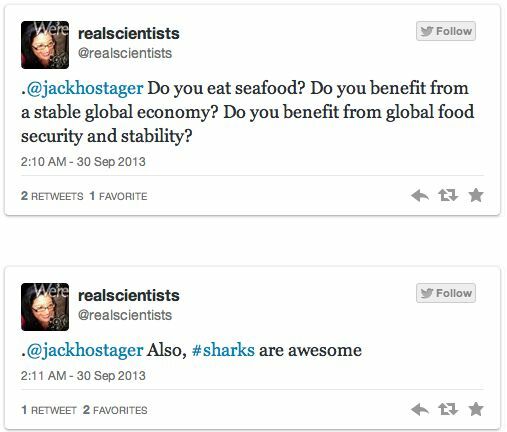 Recently, I used my twitter account to correct inaccuracies during the Discovery Channel’s “Shark Week” in real time, leading to an interview on CNN. Our lab, the RJ Dunlap Marine Conservation Program at the University of Miami, is heavily involved in both online and real-world outreach. Last year, we took over 1,000 high school students out into the field with us to help catch sharks and learn about the ocean. People can also track our satellite-tagged sharks on our website (SharkTagging.com) using Google Earth. 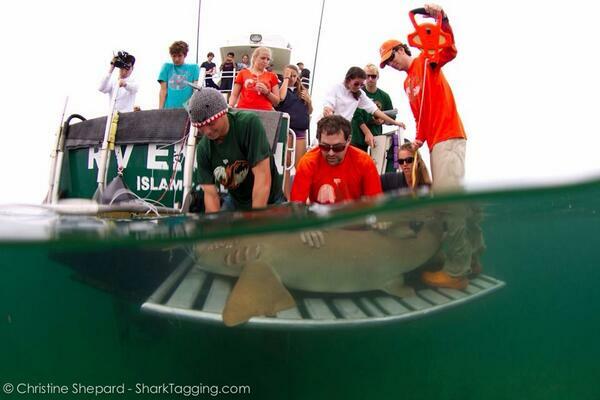 We use our Facebook page (Facebook.com/SharkTagging) to share marine science and conservation news daily. 7. Do you have any other interests and hobbies? I enjoy SCUBA diving and snorkeling, watching college basketball, and playing with my puppy. Don’t worry, Twitter, we’re on the case. We have already demanded puppy photos. Get ready for @WhySharksMatter. We’re gonna need a bigger everything.